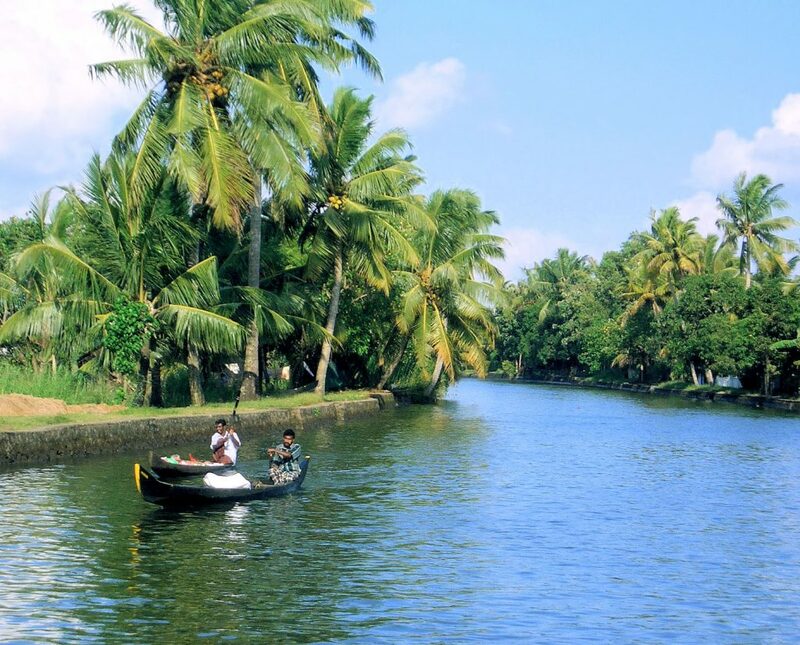 Kerala Backwater Tour Experience- Once In Your Lifetime, Always In Your Memory Lane! Many reasons can lead you to plan a Kerala vacation, including breath-taking palm fringed beaches, lush green hill stations decorated with tea plantations, amazing wildlife and bird sanctuaries, and a glimpse of a rich culture. But importance of all these reasons gets accentuated by Kerala backwaters. No surprise here when tourists will tell you happily that they got Kerala backwaters tour because it encapsulated the others! 1500 Kms of interconnected waterways, rivers, lakes and inlets forms the backwaters marking beautiful and scenic lakes, lagoons, estuaries, canals and deltas of many rivers that ultimately meet the Arabian Sea. These are used both by locals (for transportation and a source of livelihood) as well as tourists (for a relaxed vacation). As a tourist, you would come to appreciate the unique relationship of Kerala people with the backwaters. The fishes and the harvests from the banks of the river keep their life going much in the traditional way. As the name suggests, it’s literally a house on the boat made of bamboo poles, coconut fibre ropes, bamboo mats, coir carpets etc. Also called as Kettuvalloms locally, the main wood that goes into its making is Anjili. Earlier, it was only meant as a mode of transporting goods to the villages separated yet joined by waterways. With modernization taking over the traditional, these riceboats started disappearing due to road connectivity, bridges and affordable ferry services. However, before they could become extinct, some wise fellow envisaged them as a major tourist attraction. A ride on these specially decorated boats (of 67-80 feet length and 13 feet in the middle) is now considered to be an experience worth paying for as it gives an opportunity to appreciate fascinating beauty of the backwaters. The time during August to September is of 10-days Onam festival, celebrating the once-a-year homecoming of the legendary King of Kerala, Mahabali. People symbolically welcome him by intricate flower carpets, wearing new clothes, and participating in traditional snake boat races. The curiosity of a visitor is also piqued by and an elaborate nine-course banquet as well costumed parades. Don’t be surprised if you actually get invited to join the party or the feast (which is not really a part of Kerala tour package!). People from all over the world come to document their experience of the snake boat races of Kerala, traditionally called as Chundanvallams. With 100 oarsmen rowing a boat of over 100-120 feet with all their muscle power and expertise thrown in, the traditional and competitive boat races are a thrilling experience to live. Some of the most famous spots of boat races are Kuttanad, Alleppey, Kochi and Kollam. Even after the race as competitive as this, the communal harmony and unity bred in the natives of the place is a sight worth seeing. Some of the popular boat races are Nehru Trophy Boat Race, Rajiv Gandhi Trophy Boat Race, Champakulam Moolam Boat Race and Aranmula Boat Race. The unique ecosystem of the backwaters where freshwater of the rivers meets the sea water from the Arabian Sea is home to many unique plant (especially spices), aquatic, bird and wildlife species. Beautiful palm and coconut trees, numerous species of leafy plants and shrubs colour the scenery in verdant. You will find yourself stretching from the window of the houseboat to memorize every single detail of the encapsulating flora and fauna of the backwaters in Kerala. Listen to your heart this monsoon!